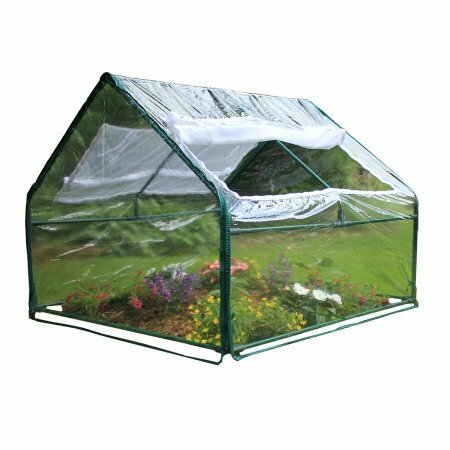 Zenport SH3214A Greenhouse, 4-Feet by 4-Feet by 36-Inch greenhouse provides a friendly environment for your favorite crops. Provides an extended growing season, protection from unexpected weather events or pests and the ability to create micro-climate zones. Gives your plants a micro-climate zone allowing you to grow crops that are not hardy in your planting zone. Zippered windows provide easy access and control over humidity and temperature. Multiple greenhouses can be linked together in series.